In the past two decades in the United States, more than 1,600 Catholic elementary and secondary schools have closed, and more than 4,500 charter schools—public schools that are often privately operated and freed from certain regulations—have opened, many in urban areas. 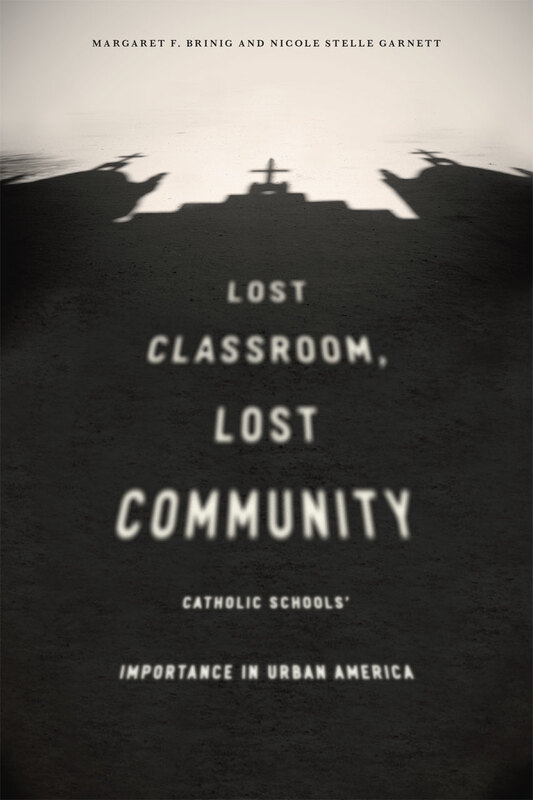 With a particular emphasis on Catholic school closures, Lost Classroom, Lost Community examines the implications of these dramatic shifts in the urban educational landscape. More than just educational institutions, Catholic schools promote the development of social capital—the social networks and mutual trust that form the foundation of safe and cohesive communities. Drawing on data from the Project on Human Development in Chicago Neighborhoods and crime reports collected at the police beat or census tract level in Chicago, Philadelphia, and Los Angeles, Margaret F. Brinig and Nicole Stelle Garnett demonstrate that the loss of Catholic schools triggers disorder, crime, and an overall decline in community cohesiveness, and suggest that new charter schools fail to fill the gaps left behind. This book shows that the closing of Catholic schools harms the very communities they were created to bring together and serve, and it will have vital implications for both education and policing policy debates. Chapter Six: A Replicable Story? "For principals and teachers working in inner-city schools, these findings are not something new. However, this is the first time that scholars made an empirical analysis of the data to prove what was already known anecdotally." "Lost Classroom, Lost Community provides a context for better understanding the consequences and implications of urban Catholic school closures. . . . Brinig and Garnett have conducted an original and compelling study that is a must read for scholars in the disciplines of urban education, Catholic education, educational policies, urban policies, and sociology." Anthony S. Bryk, president of The Carnegie Foundation for the Advancement of Teaching | coauthor of "Catholic Schools and the Common Good"
Paul E. Peterson, Harvard University’s John F. Kennedy School of Government | author of "Saving Schools: From Horace Mann to Virtual Learning"